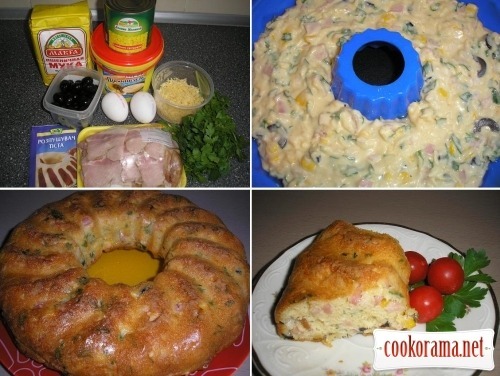 Mix eggs, gradually add mayonnaise, flour, baking powder, greens. Chop brisket and grate cheese. Slice olives. Add brisket, cheese, olives and corn in dough. Grease form and spread dough in it. Bake for 30 min at 180˚С. Flip ready cake on dish. Serve it hot. 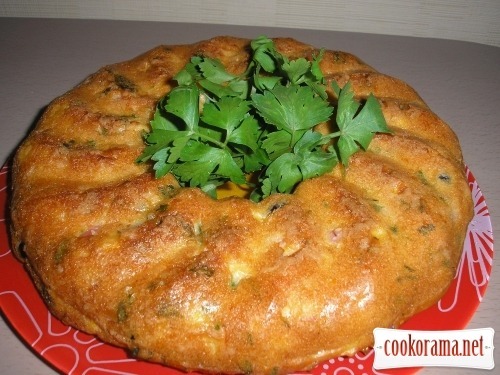 Top of recipe "Cake with brisket"
А з чого Ви взяли, що це кекс? На в каком заборе рецепте было написано?